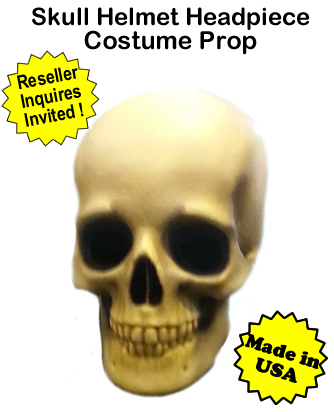 Skull Helmet Costume Prop Halloween - Dino Rentos Studios, INC.
Get everyone's attention with this oversized Skull Helmet Costume Prop Halloween wearable piece. 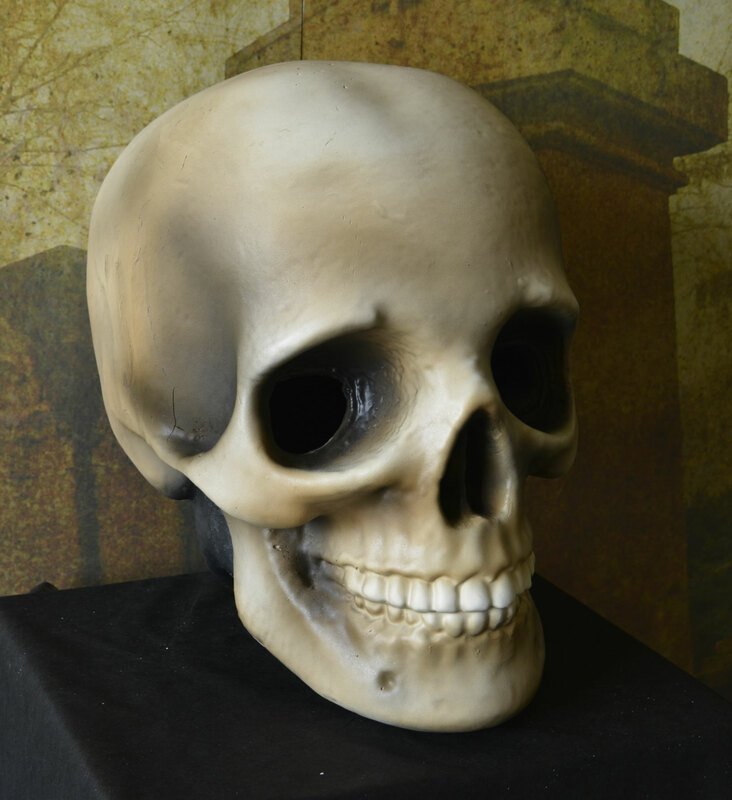 Perfect for parades, haunted attractions or just for collectors, this Skull Helmet Costume Prop Halloween piece is designed for comfort and grasping attention from ANY audience! Made from sculpted foam, this piece is hand painted and plastic coated to give it durability. Built with a neck piece that fits comfortably on one's shoulders, it can be worn safely for any event. Prop helmet comes with 2 large eye holes and nose hole, offering easy visibility and ventilation for the wearer. Costume prop helmet measures approximately 20" wide x 24" tall x 26" deep.